Headquartered in beautiful Palm Desert, CA, STRANDS Hair Color Founder and CEO Mirela Marinescu describes her company’s new permanent cream color system as a high-end designer boutique collection that consistently delivers high-end results. Having discovered the original established color technology in Italy, Mirela directed her lab resources there to adapt and create permanent color formulas exclusively for the American colorist and client. A decade later, and to Mirela’s critical standards, beautiful results emerged: The STRANDS Hair Color Collection with Argan Oil and Keratin, featuring RELEXIONS™ (low ammonia) and COLOR LUST (ammonia-free) formulas. 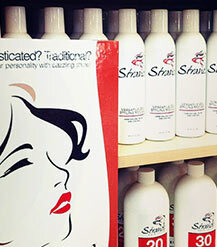 The STRANDS Hair Color team represents many decades of individual success stories in the professional beauty industry. 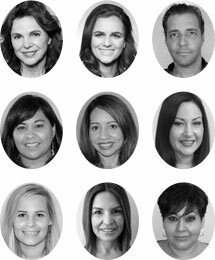 Bridging all generations, each brings their own brand of knowledge and passion to the creative, trendsetting world of the Strands colorist. As we proudly launch our color collection nationally, we know you’ll agree… STRANDS is colorist-worthy and ready-to-wear for your fashion-aware clients throughout the country. As our tag line says: Discover Strands … and Ignite Your Color Passion!